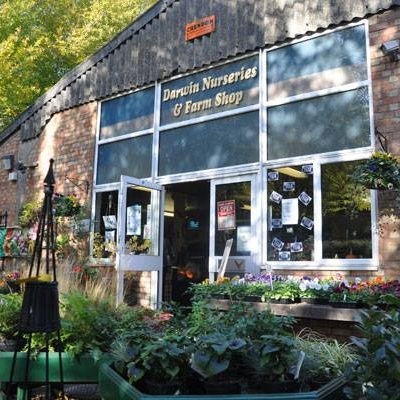 Darwin Nurseries is a horticulture project and farm shop where adults with disabilities have the opportunity to take part in supported work experience in horticulture, retail and animal care. There is a well stocked farm shop where you can buy gardening equipment and seeds as well as food supplies. Darwin Nurseries sells locally produced meat, cake, bread and a large range of pet food as well as fresh fruit and vegetables. Here's where you can also buy some of Darwin's homegrown produce which goes into their homemade jams, pickles and chutneys. Visitors are welcome to walk around the greenhouses and permaculture areas and to say hello to the pigs, chickens and goats. There's even a café for tea! There's loads to see when you visit Darwin Nurseries, it's great for adults and children alike.